It was the first hybrid car to be sold in the U.S., beating the now-legendary Toyota Prius by a few months. It was a tiny two-seater with a three-cylinder engine, spats over the rear wheel openings to reduce aerodynamic drag, and a host of highly advanced technologies for its time. 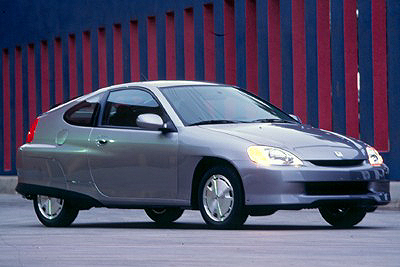 It was the 2000 Honda Insight, which until now has stood as the most fuel-efficient car without a plug ever rated by the EPA. The agency adjusted its ratings almost a decade ago, to bring them closer to real-world results for a handful of hybrid models including the Prius, the Insight, and the Honda Civic Hybrid. Under the system in use today, the original Insight was rated at 53 mpg combined (49 mpg city, 61 mpg highway). And until this year, no other vehicle has beaten that rating. 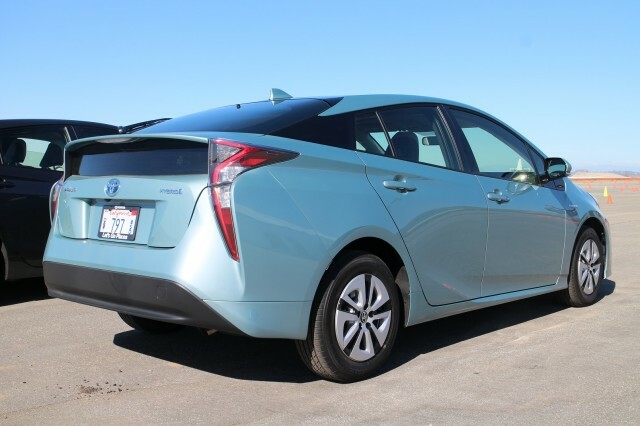 The 2016 Toyota Prius actually has two separate versions, when it comes to gas-mileage ratings. 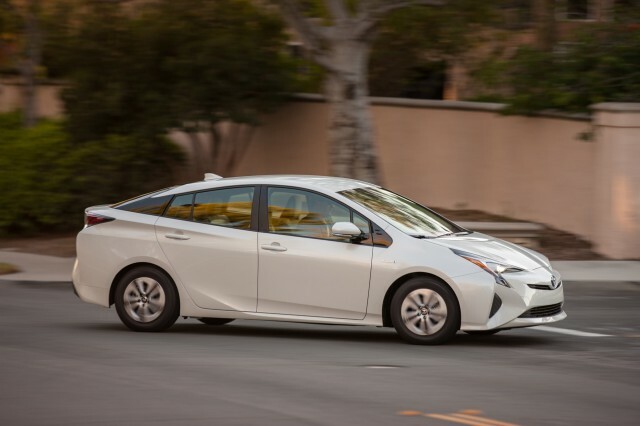 Most Prius models this year are rated at 52 mpg combined (54 mpg city, 50 mpg highway). But the 2016 Toyota Prius Eco, which is essentially a base model fitted with a lithium-ion battery pack that's smaller and lighter than the old-school nickel-metal-hydride pack in the entry-level Prius Two model, does better than that. The 2016 Prius Eco is rated at 56 mpg combined (58 mpg city, 53 mpg highway)--making it the new all-time fuel efficiency leader among vehicles that don't plug in to recharge their battery packs. You can see all three ratings here. It's worth noting that the latest Prius is nominally a five-passenger mid-size car, with twice as many passenger doors and seats as the original Insight minicar. It'll fit four passengers comfortably, five with some compromises. The challenges of size, mass, and rising equipment and safety levels can be seen in the 16 years it's taken Toyota to get its most technically advanced volume car to the levels of the original Insight. With Toyota's two-motor hybrid system tuned to deliver higher efficiency on the city cycle than at highway speeds, it's worth noting that the 2000 Insight's 61-mpg highway rating still appears to be an all-time record. A second generation of Honda Insight, which launched for 2010 using a later generation of the original's Integrated Motor Assist mild-hybrid powertrain, proved to be a market failure not only in the U.S. but globally. Its production ended after the 2014 model year.